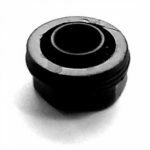 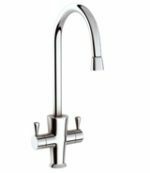 All San Marco taps are designed to comply with UK Water Regulations and are manufactured to WRAS or other applicable European Standards. 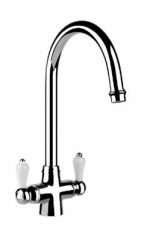 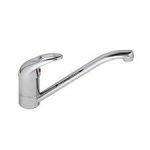 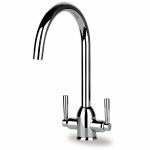 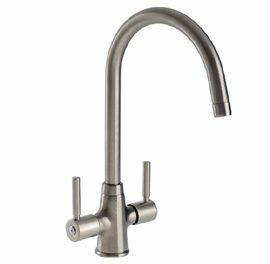 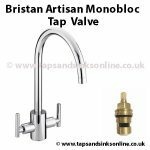 These Kitchen Taps slim styled handles add a touch of elegance to this swan neck style tap and justifies its position as one of our most popular Kitchen Taps. 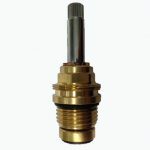 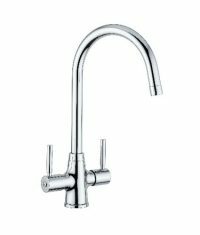 These Kitchen Taps are suitable for low water pressure systems (0.3 bar and above). 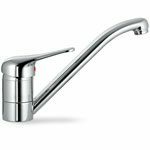 For further information on a guide to Water Pressure see San Marco Water Pressure Guide.